The R-Type Continental Fastback is one of Bentley’s best-regarded post-war cars. In 1955 the model was succeeded by the Bentley S Continental Fastback which is equally coveted by enthusiasts of the British brand. Both Fastbacks have increased strongly in value in the last 15 years, but what makes these cars so interesting? 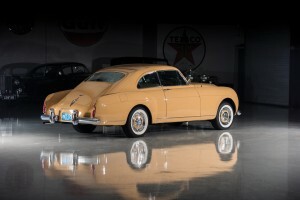 1957 Bentley S Continental Fastback van H.J. Mulliner. Geveild door RM Auctions in maart 2017 voor $ 781.000 (£ 642.000). Foto Darin Schnabel, RM Sotheby’s. ← Is the significant interest in young Porsches sustainable?